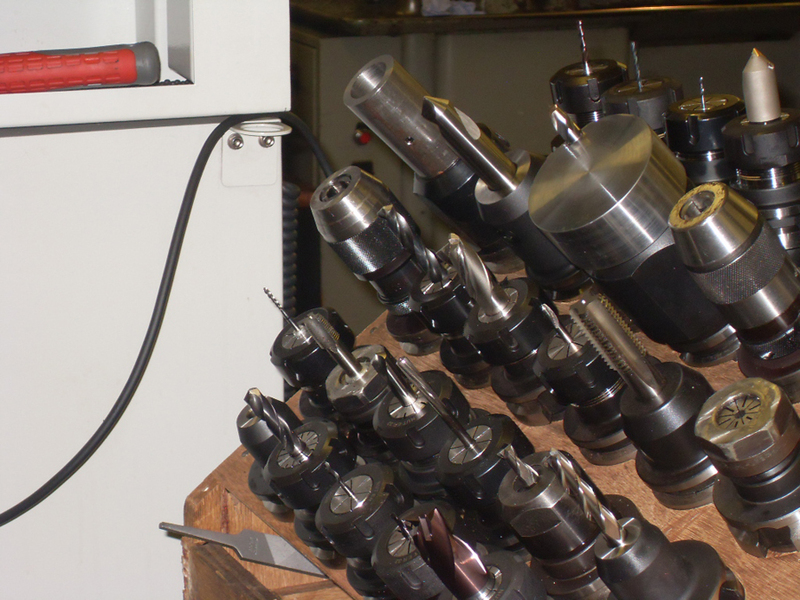 L.A Engineering Belper Ltd, Precision Engineers specialise in providing precision machined parts, fabrication and assembly in the Derbyshire and Nottinghamshire areas. 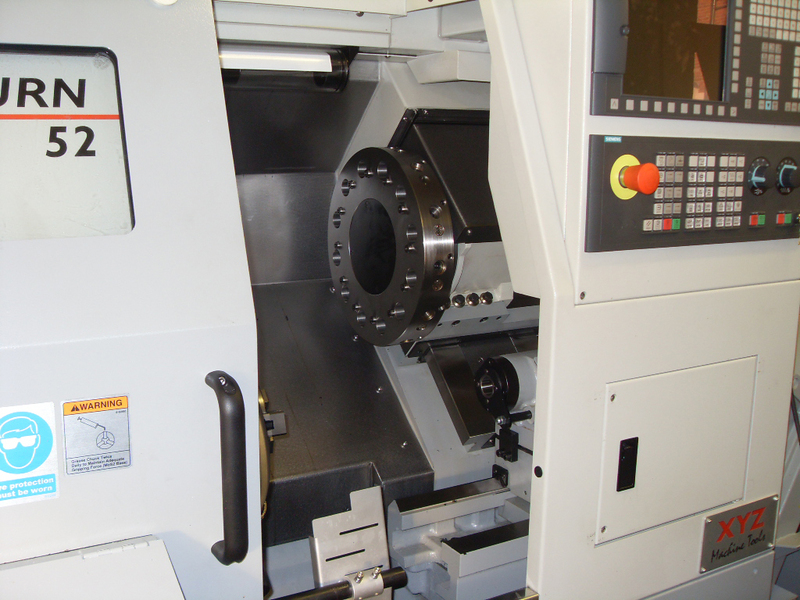 Working directly with clients, we can provide a second to none service for single prototype parts to volume production of large batch orders using a variety of materials including mild steel, alloys and stainless steel. Our reputation has been built on good customer service delivering orders to specification on time and to budget to industries such as the water and gas leak detection industry and food manufacture to name a few. L.A Engineering is Severn Trent and Rolls Royce approved. Scroll down to see to see our Rolls Royce, Nuclear Submarines Sector Approve Supplier Certificate and our ISO 9001 certificate..
L.A Engineering Belper Ltd was established in 1989 by business partners Les Wilson and Andy Searson and now employs some 12 staff in premises totaling over 6000 square feet. Based in Belper Derbyshire, clients new and old are welcome to to visit our premises to see our experienced staff in action. Joint Directors of the business, Les and Andy are highly qualified engineers and have a wealth of experience in the industry. They work directly with clients on projects, reducing points of contact, taking the pressure off of you. LA Engineering offers a complete service from initial consultation, design advice, drawing facility, prototyping through to volume production. At L.A Engineering you work directly with experienced engineers who understand your requirements and quality standards. Our extensive range of production equipment and experienced staff allows us to meet the most demanding and complex customer requests. Please feel free to contact us for a no obligation quote for your engineering requirements, we are confident you will be more than satisfied with our excellent services. 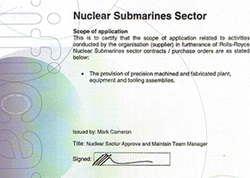 Click the image on the right to see our Rolls Royce, Nuclear Submarines Sector Approve Supplier Certificate. 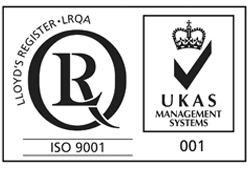 We are ISO 9001 registered, click the logo on the right to see our certificate.